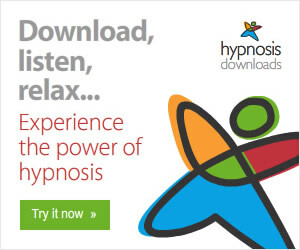 Hypnosis is a state of deep relaxation we have all experienced in our daily lives. It is daydreaming, dozing on a Sunday morning, driving on autopilot, engrossed in a good storybook - anytime when we are in "a world of our own". Hypnotherapists access this state which brings a change in brain waves so allowing direct access to the subconscious mind where unwanted habits and the causes of negative problems are stored. Whilst a person may know consciously why they want to change, something is holding them back and that obstacle lies in the subconscious. St Paul wrote in Romans 7 v 14, "My own behaviour baffles me. For I find myself not doing what I really want to do but doing what I really loathe." Most people achieve a light stage of trance, perhaps with tingling sensations in the hands, blinking eyelids, rapid eye movement, slower breathing, a sensation of weight in some parts of the body or even floating. This level of trance is sufficient to achieve long-lasting results. It is therefore not necessary to enter a deep state of trance which it is said can only be achieved by about 5% of the population. A stage hypnotist typically performs certain tests to ascertain the level of trance by people in the audience and may choose those who appear to be relaxed to a very deep level as such people will make the show more effective. Brain waves variations in intensity start with beta, the fastest, then slow to alpha, theta and delta. Beta waves are present when the mind is in a normal state of consciousness. Light levels of hypnosis decrease the brain wave activity to alpha and deeper levels may take a subject's brain waves all the way to theta. Every time an individual enters into hypnotic trance, this will happen more quickly and more deeply. 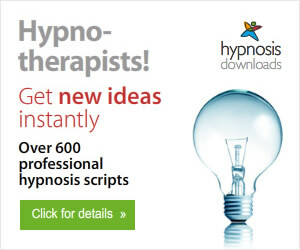 On the first session the hypnotherapist must lead the client into hypnosis through a relaxation technique, called an induction, but on subsequent sessions a shorter induction can be used as the subconcious mind of the client will have been pre-programmed to relax on hearing certain words mentioned in the first session. Whilst the hypnotherapist uses words to lead the client into a hypnotic trance, in fact all hypnosis is self-hypnosis as the person allows themselves to enter the state. No one can be hypnotized against their will. No one can be made to take on suggestions against their will or belief system. The client remains in control at all times. It is a common mis-conception that hypnosis is some weird, spaced-out state. Not at all. It is a state of deep relaxation combined with heightened awareness so the client will hear a car go by, a dog bark, a bird sing but these outside sounds will not disturb the relaxation. In fact they will be instructed to use such sounds to lead them deeper into relaxation. In the event of an emergency, the client can bring themselves back into an awake state at any time so there is no need to fear the hypnotherapist having a heart attack and leaving you "under"! It is perfectly safe to drive afterwards. People often think that only a few minutes have gone by so are surprised to learn they have been relaxing for maybe 30-45 minutes. The end of the session is not in fact the end. The process started in hypnosis can go on during the day or during sleep to bring about the results desired. There is nothing magical about hypnosis, nothing occult or strange. On the contrary, it is a perfectly natural state to be used for positive therapeutic change. © Antonia Stuart-James 2007. Reproduction only permitted with author's credit and website link.